I like calling you Colin, no surname, just the first name, like that of great men. I don’t know if you remember me. We met 20 years ago in a theater’s pit. You were playing the role of Valmont and I, the role of a young impressionable girl carrying pop corn. Since then encounters and disagreements before the TV and the big screen. Always in the dark, in the intimacy of silence. I confess you captivated me with your nostalgic gaze. 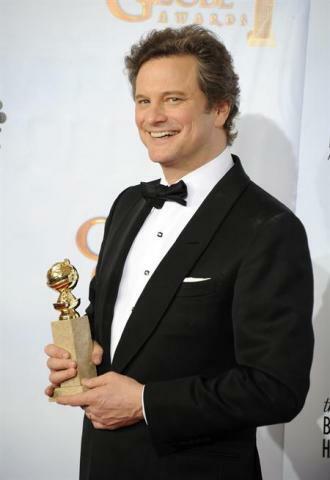 Eternal Mr.Darcy who conquered Bridget Jones’ heart and that of Britain. Friend of friends in classic tales and romantic comedies. Tall, elegant, with a singular voice. Tom Ford’s chosen one for his first foray behind the camera. And this year, the prince with a broken voice who would become the leader of an empire plagued by war. Loving husband to a jovial and long living queen (Helena Bonham Carter). Friend to he who helped you and rectified your destiny (Geoffrey Rush). A great actor for a great character, the previously unknown to me King George VI. The King’s speech, what a great movie it is. Congratulations on your well deserved award. I am glad to see talent is still acknowledged. Dear Concha… I can’t be more agree with your words about Colin’s work.